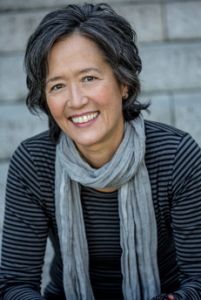 FARMVILLE, Va. — Novelist and filmmaker Ruth Ozeki will be awarded the 33rd John Dos Passos Prize for Literature at Longwood University this spring. Ozeki is a Zen Buddhist priest who has traveled and worked extensively in Asia. She started her career as a filmmaker, receiving accolades for her autobiographical film “Halving the Bones,” which was awarded and screened at the Sundance Film Festival and Museum of Modern Art. Her first two novels, “My Year of Meats” and “All Over Creation,” were critically acclaimed and translated into 11 languages. Her most recent work, “A Tale for the Time Being,” was shortlisted for the prestigious Man Booker Prize and the National Book Critics Circle Award, and won the L.A. Times Book Prize and Medici Book Club Prize. “A Tale for the Time Being” is the story of a mysterious diary that washes up on a Pacific Coast beach after the 2011 Japanese tsunami. The diary is discovered by a girl named Ruth, who becomes obsessed with discovering the diary owner’s fate. Ozeki will read from her work and be awarded the prize in an April 24 ceremony at Longwood University. The public is invited to attend. The John Dos Passos Prize for Literature, founded in 1980, is named for a talented but overlooked 20th-century American writer. The prize recognizes contemporary writers who employ themes that run through Dos Passos’ work. Recipients are American creative writers who have produced a substantial body of published work that displays characteristics of Dos Passos’ writing: an intense and original exploration of specifically American themes, an experimental approach to form, and an interest in a wide range of human experiences.